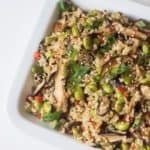 I wanted to share this incredibly easy beanball recipe with you that’s part of my make-ahead basics plan, The Sunday Six. 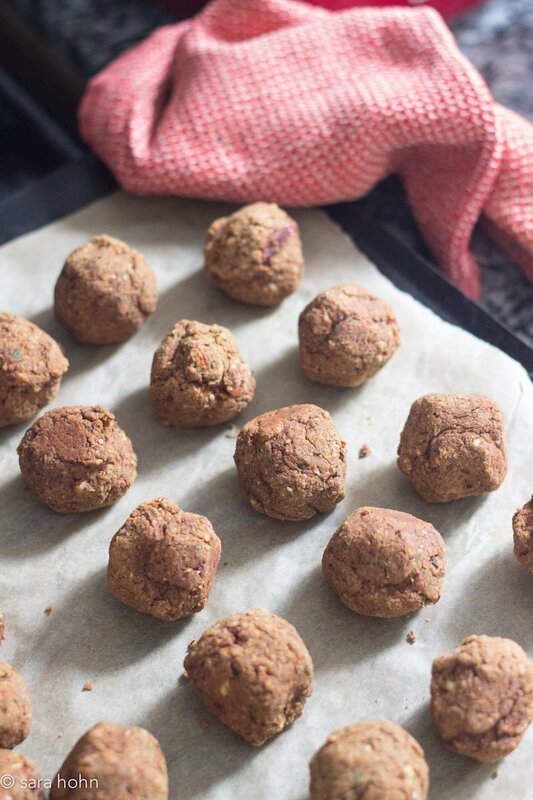 Made from simple pantry ingredients, you can mix these beanballs up in just a few minutes. Roll, bake and they’re ready in under a half hour. 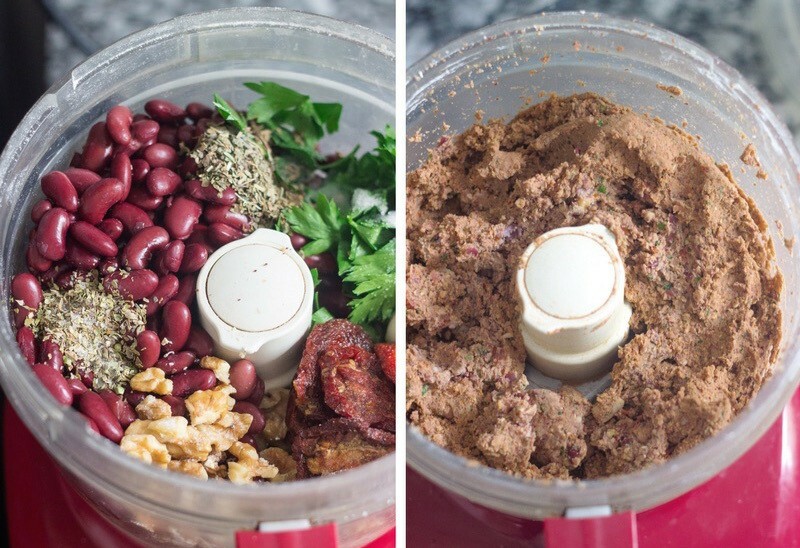 Simply blend kidney beans, walnuts, garlic, sundried tomatoes and herbs together in a food processor. Gluten free oats, blended into flour, helps bind the mixture together. Brush with olive oil before baking, if you like. Try swapping in different spices or seasonings, or another bean like chickpeas. 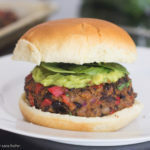 You can also flatten these into small patties and serve on a sandwich. 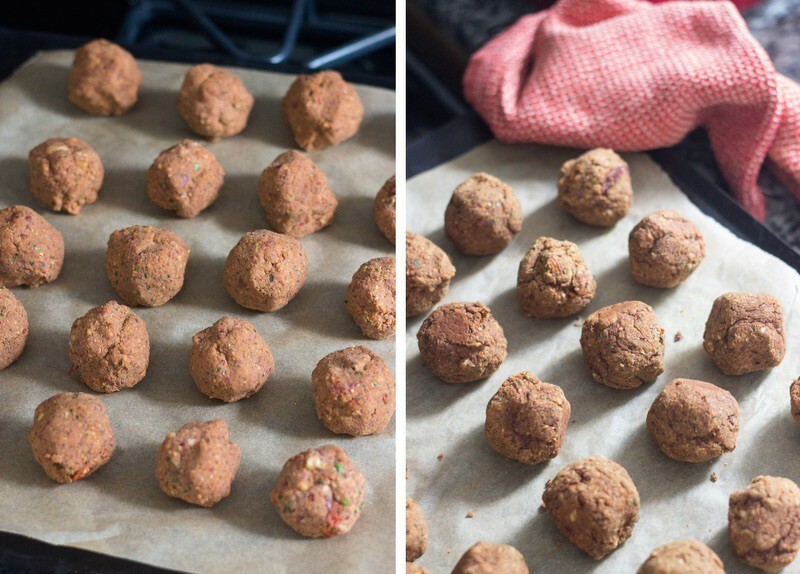 I love these beanballs as part of a bowl or salad. They freeze beautifully. I’ll often grab a few and combine them with other ingredients for a quick dinner. 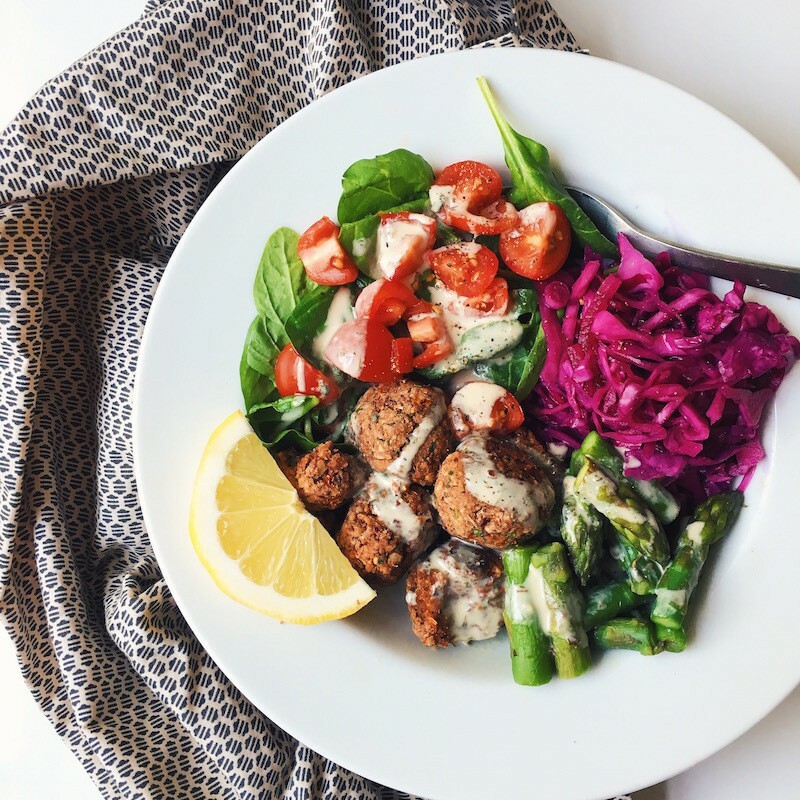 For this bowl, I made the beanballs, asparagus, cabbage and tahini dressing in advance. When it was time for dinner, I simply reheated and served with fresh greens. Rinse and drain kidney beans. 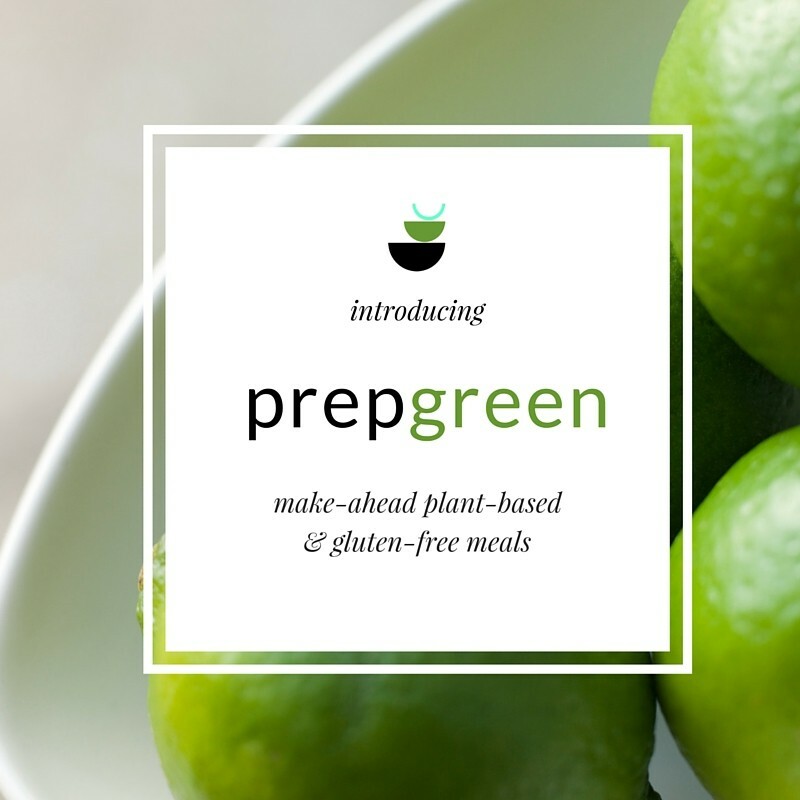 Add gluten free oats to the food processor and process until a powder. 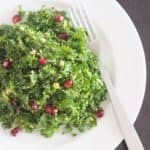 Add parsley leaves, kidney beans, raw walnuts, marinated sundried tomatoes, garlic cloves, dried basil, dried oregano and salt and process until well mixed. (A few small chunks are fine). Form into 1-inch balls. Brush with 2 teaspoons of olive oil and bake 15 minutes. 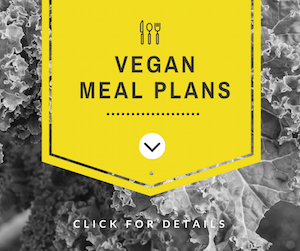 Interested in more plant-based, gluten-free make-ahead basics? Try The Sunday Six! This sounds so easy and yummy… I use regular flour? and mess with the spices once I make them once and get a sense of the taste? Love it! Thx Sara! Thanks so much, Kay! Regular flour should work. Definitely have fun and freestyle it!